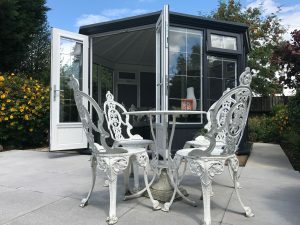 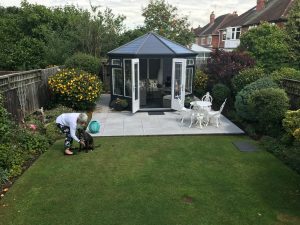 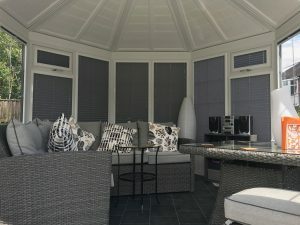 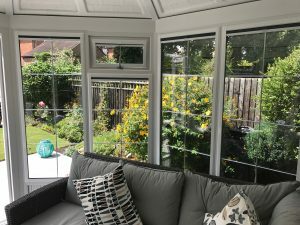 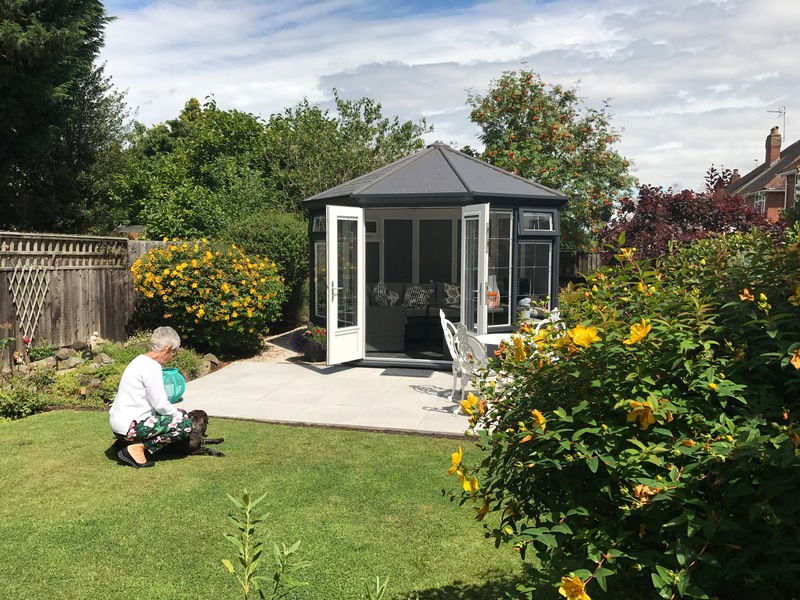 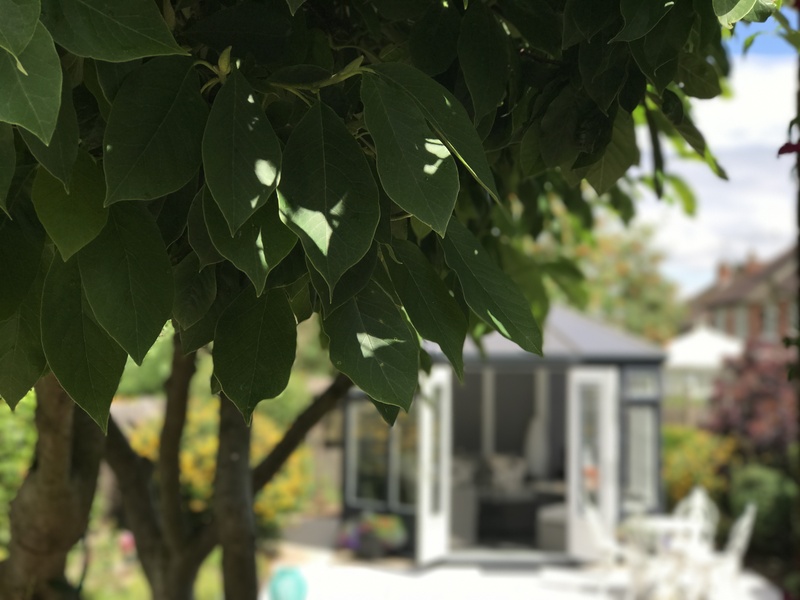 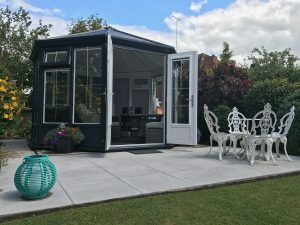 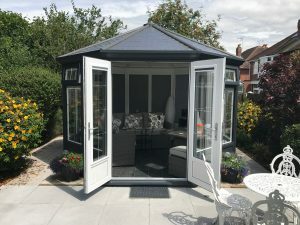 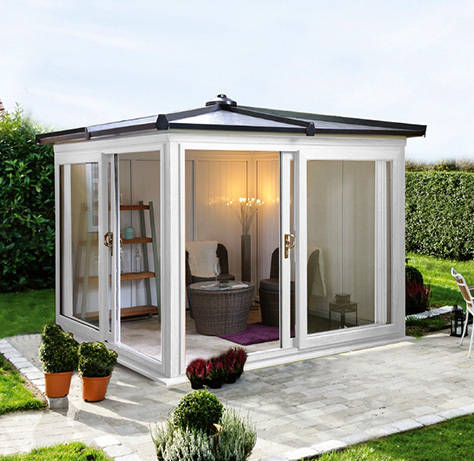 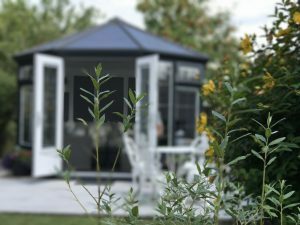 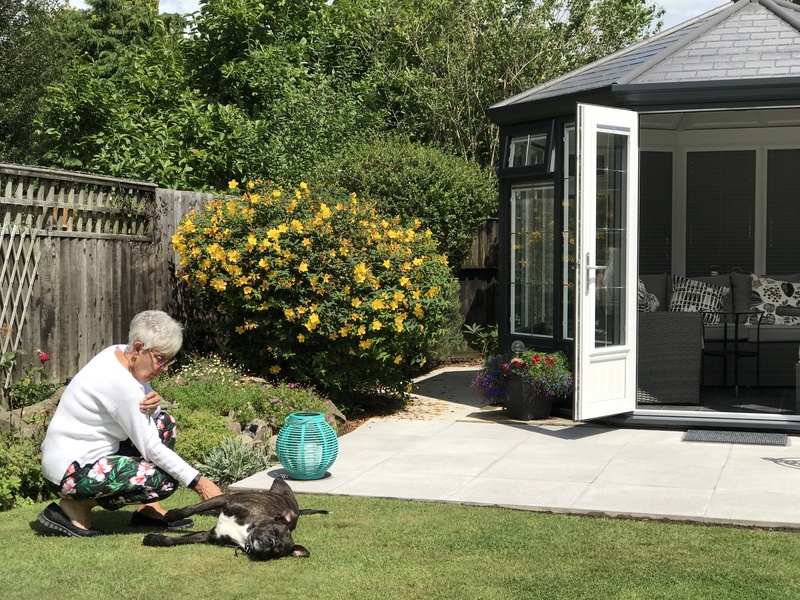 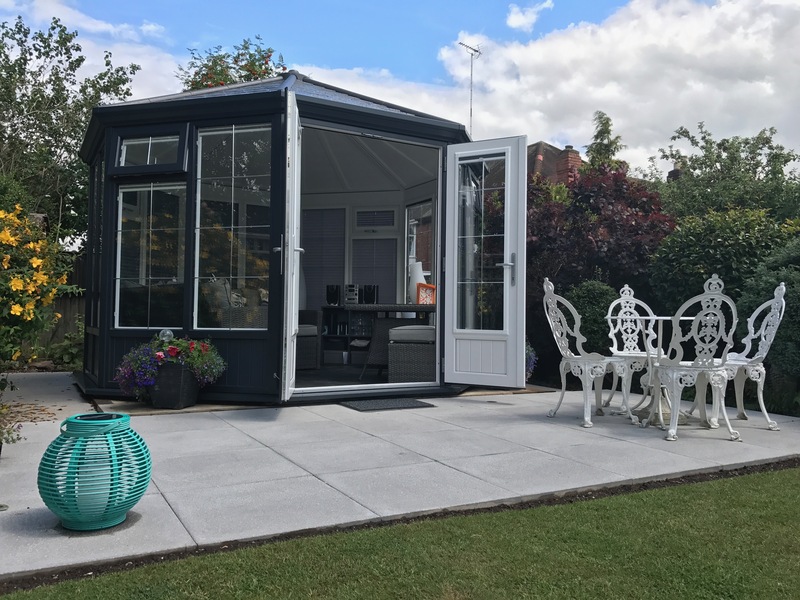 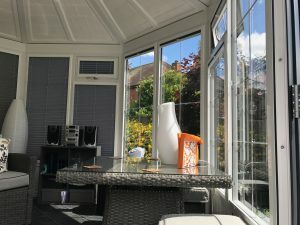 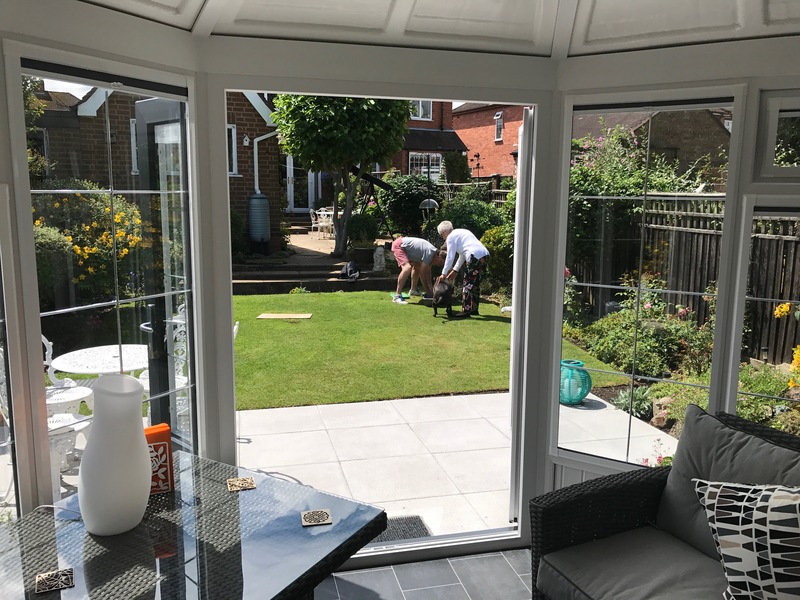 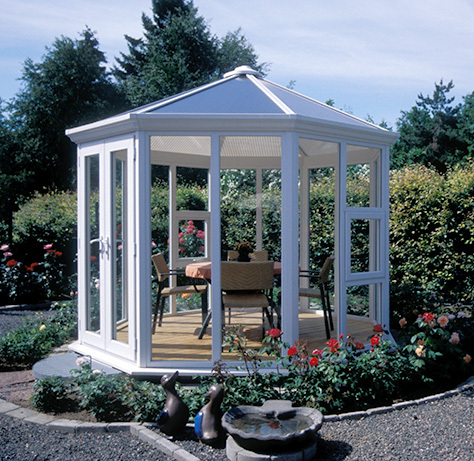 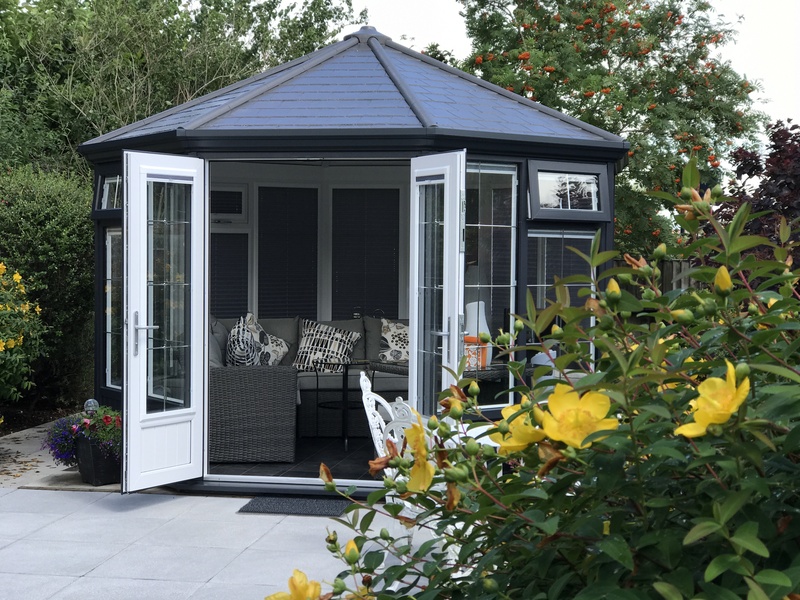 “I am delighted with my new garden building it has already provided me and friends with many pleasurable hours sitting enjoying the garden in luxurious comfort. 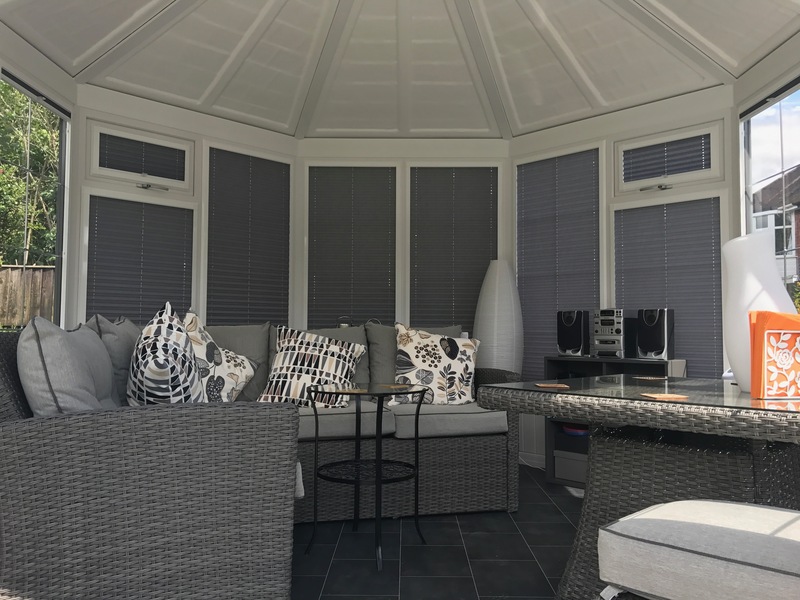 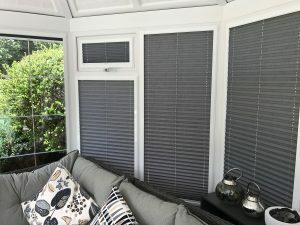 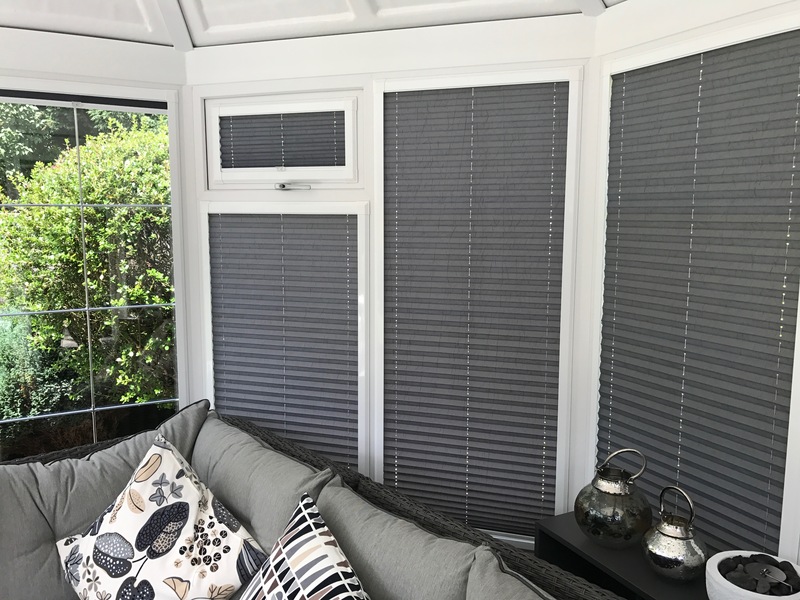 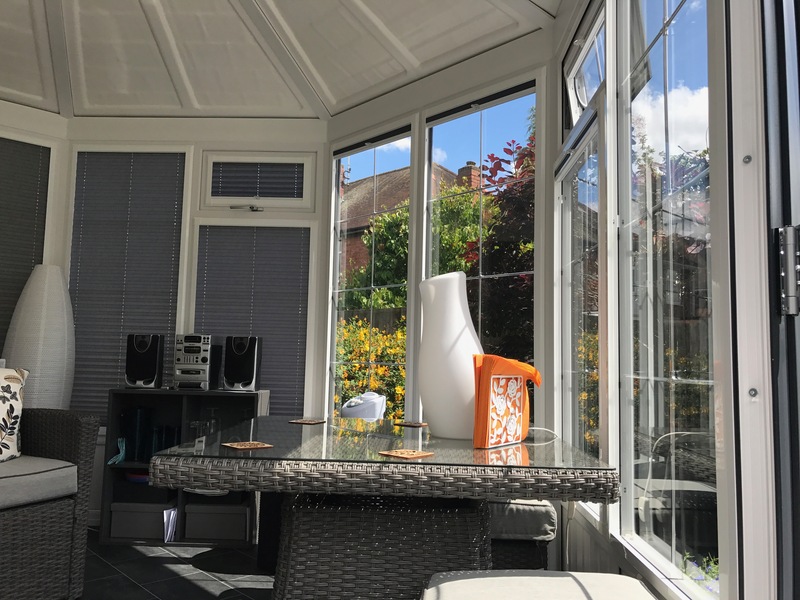 The installation of a Melbourne Pavilion in November 2016 at the beautiful home of Mrs Luckett in Coventry was such a success that we were invited back to take some pictures of the building once she had added her furniture, blinds and made the building really come to life. The Melbourne selected was finished in grey with a grey tile effect roof, the standard features including chrome Georgian bars, low level panels, opening windows and high security locking on the doors and windows. 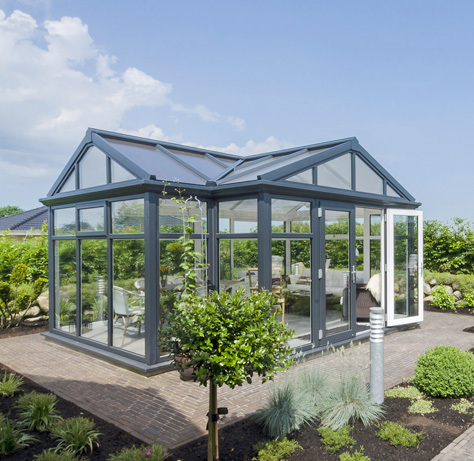 The building was purchased from our UK retail partner Garden Building Centre (GBC Group). 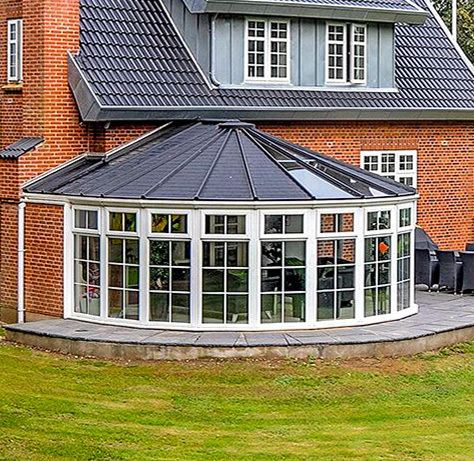 With 35 locations across the UK, all staffed by experts who can advise on the best building for your requirements. 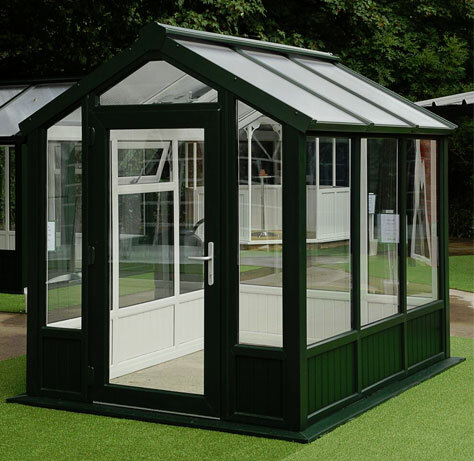 Thank you to Mrs Luckett for inviting us back, the building looks wonderful in it’s new surroundings.